I'm totally into Gossip Girl these days, it's the perfect relaxation after a day of studying. so it's kind of hectic these days. I must admit that I like Blair Waldorf's style more. I really like here preppy, girly and almost doll-like sense of style. The way Leighton Meester plays Blair's character might be another reason too. I just wanted to show you some of my favourite pictures of Blair's outfits. Queen B., you know I love you. Sienna Miller: Like Or Dislike? Immanuel from Style 4 Guys posted this picture of Matthew Williamson and Sienna Miller on his Facebook. Immanuel likes Sienna, I don't. or the fact that she's screwing around with married rich men? 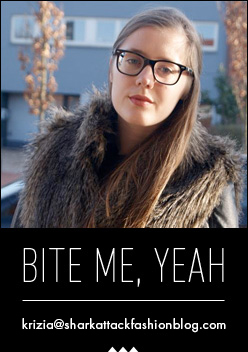 I don't know - I just don't like her. "You don't like her because you're a woman. Most women don't like her!" Do ALL women hate her? Feel free to post your opinion here - And also explain why you do or don't like Sienna Miller. and I still have to get used to how warm it has been the last couple of days. That's why I'm wearing such a casual outfit today. and I love the fabric... So light and thin. It's perfect for days like these. I hope you've had a nice weekend! I'm going out tonight - Only girls allowed. (Happy birthday, Marika! ), so I decided to keep my outfit all simple for tonight. The attention has to go to the birthday girl, right??? like that for the next couple of days. I love the thin fabric and the way it 'glitters' in the sun. This shirt definitely belongs to one of my favourites now. I also bought the tank top in the same colour and fabric. I decided to paint my nails gold - I wanted to break the silver and black pattern. Too bad the nailpolish isn't really that visible due to the sun. Today, on the 19th of May, my sister celebrates her 24th birthday. but our style is still quite different. I still consider her one of the best dressed people I know. here are the pictures of The Sartorialist-meeting that were taken by the photographer of Oona. Mr. Schuman arriving at Maasmechelen Village. I really love this picture. I'm not sure who the two other men are - mabye MMV co-workers? - but I absolutely love the way they are dressed. Today was THE day - my sister and I finally got to meet Scott Schuman a.k.a. The Sartorialist. It was raining this morning, but luckily it already stopped when we arrived at Maasmechelen Village. After meeting with Otto, we made our way to the lounge where all the bloggers would come together. While we were hanging around, waiting for Scott Schuman to come, a friendly boy from Dutch Streetstyle - I forgot to ask his name - asked me if he could take some pictures of me. It was the first time anyone ever asked me that, so I must admit that I was a little bit nervous. But the pictures looked nice when I saw them on his camera, so I'm really excited to see them! Michael Black arrived shortly after. He's the Group Merchandising Director for Value Retail and he talked about Scott Schuman while we were waiting for him to arrive. While Michael Black was talking, Mr. Schuman suddenly entered. The first thing I was thinking? "Wow, he seems so normal!" I don't know what I was expecting him to be, but I really loved the fact that he was so down-to-earth. He was so friendly that my nerves disappeared in a heartbeat. He sat down with Michael Black and we were ready to start. Mr. Black was the first to ask questions - on how The Sartorialist started, for example. I've only see a few people so passionate about what they do - It was so great to see him tell about his big passion with so much love. Afterwards, we even got the time to take a personal picture with Mr. Schuman - I'll put them on here as soon as I get them - and there even was some time to sit down with him for a personal chit chat while he was signing our book. In this post you'll see some of the pictures I've made. Tomorrow I'll post the pictures that were made by a photographer of Oona. This was such an amazing and interesting day - I still can't believe it happened. I would like to thank the people at Oona for making this possible! P.S. : Sorry for the long post, but I really wanted to share this experience with you. I haven't even told half of what I would like to! 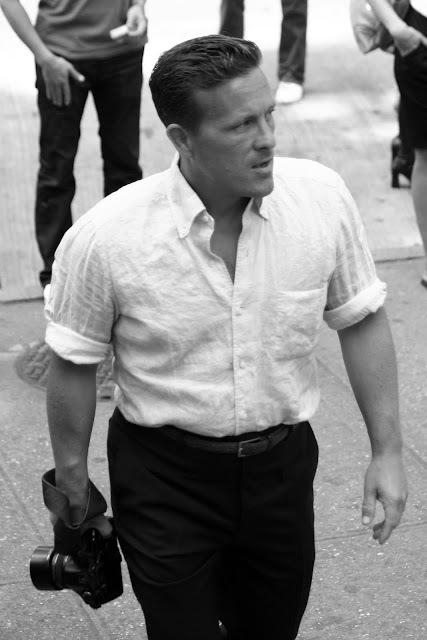 As you already may know, my sister and I will be meeting Scott Schuman / The Sartorialist at Maasmechelen Village tomorrow. There's an expo running about him right now, and he will be at Maasmechelen Village for the closing of the expo. My sister and I decided to have a look at the expo already, and we took some pictures too. I've decided to show you some pictures right now, but only those pictures that don't give too much away. We all have seen Carrie Bradshaw & Co. drinking Cosmopolitans as if it was water. Forget about that, there's a new cocktail that, I think, will take over that top position. I wanted to introduce you the Cointreaupolitan Star. The Cointreaupolitan Star will be presented at the Festival of Cannes, to give that little extra to the celebrities that will be strolling around there. The Festival will start at the 12th of May and will end the 23rd of May. It was the picture of the cocktail that convinced me to write this post. First of all, it is served in the pretty Cosmopolitan / Cointreaupolitan-glasses, which I have always loved. I always wanted the Swarovski ones! 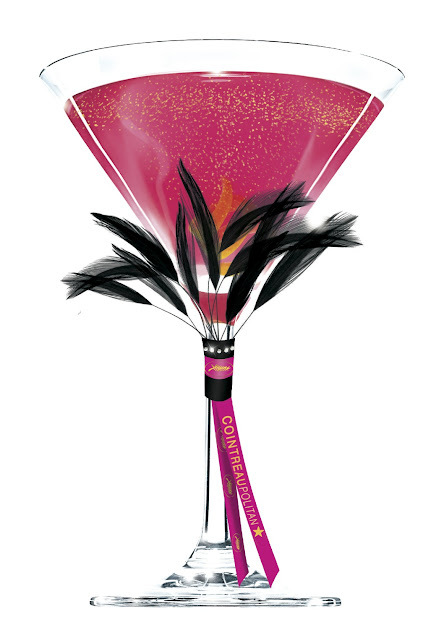 Plus, the cocktail is pink - I'm a girl & I love pink... And last but not least, the glass is decorated with feathers and golden glitters. Yes, for real, golden glitters!!! Just take a look at the picture and you'll know what I mean. In my previous post, I wrote about how I was waiting for the postman to stop by this morning. Shortly afterwards, while I was putting my make up on, the doorbell rang and I almost flew downstairs! There he was, the postman with an Amazon-package in his hands... They're here! so it seemed nice to get our books signed! 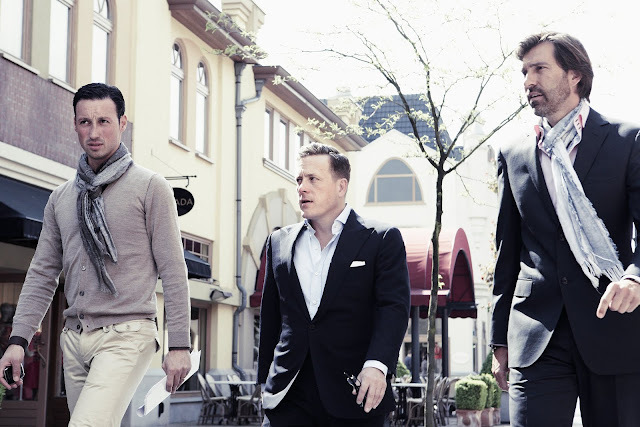 THE SARTORIALIST IS COMING TO MAASMECHELEN CHIC OUTLET VILLAGE! Mr. Scott Schuman himself will be present at Maasmechelen Chic Outlet Village, also known as Maasmechelen Village, on Monday, 17th of May. I live in Maasmechelen, and I really can't believe he's coming to this teeny tiny place! My sister and I will get the chance meet him personally - I can hardly breathe - and to talk about fashion blogging and street style. There will be other bloggers too! And guess what... You can meet him as well! He will have a signing session for his first book 'The Sartorialist' at 16h30. I already ordered my copy, it should arrive tommorow. You can buy your own copy of the book at the Information Desk at Maasmechelen Village. from 14th of May to 17th of May. And it's FREE! A huge, huge, huge thank you to the people at Oona for making this possible! My favourite collection at the press event I went to, was definitely the Avalon-collection of Marc Philippe Coudeyre. He is the head designer of Natan, the Belgian brand that dresses our royal family most of the time. Natan has a more classic touch, so I expected the collection of Marc Philippe to be classic too, but it definitely was the opposite. The colours, the fabrics ... Everything is just right. Did you know the jewelry is hand made? My sister and I kept going back to have a look at the collection over and over again. Even though I like the whole collection, my favourite pieces are the golden / bronze leather shorts, the black glittery jacket and, of course, the black and white outfit I showed you in my previous post. To see more of Marc Philippe Coudeyre's work or if you would like to buy one of his pieces, you can go to the Princess Blue in Antwerp or to Sketch in Knokke.